Every so often I write a post that answers questions people have posed by searching for my blog in search engines. There have been a couple of searches today for the Merseyside Pension Fund Annual Accounts for 2010/2011. Merseyside Pension Fund is administered by Wirral Council. 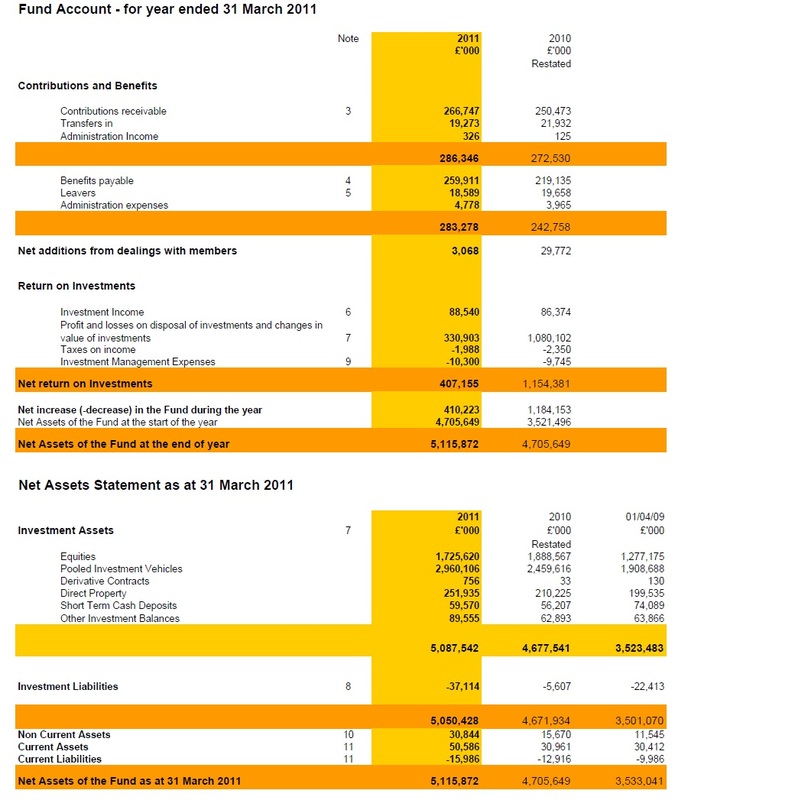 There are of course two versions of the accounts for 2010/2011, the unaudited and audited accounts. The audited accounts are below. Please click for a larger version. The rest of the information relating to the accounts can be found on Wirral Council’s website. The second question is from visitors curious about Lib Dem Ed Davey MP (Minister for Employment Relations, Consumer and Postal Affairs)’s letter to local councils about Post Offices. I’ve requested a copy from Ed Davey and will write about this issue when I receive it. Another is about the Fast Tags for the disabled (for going through the Mersey Tunnels). All the information about the free Fast Tag for the disabled can be found on Mersey Tunnel’s website and the Application Form can be downloaded here. Disclaimer (in the interests of open journalism): My wife is in receipt of a Fast Tag (on disablity grounds) for Mersey Tunnels. My father is a member of the Merseyside Pension Fund.